This wild competition is held annually at Coney Island in New York City. 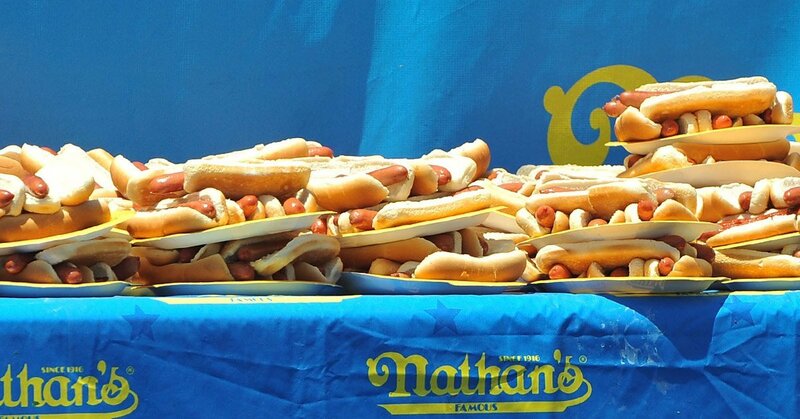 The defending champ, Joey Chestnut, beat out the 19 other contestants by consuming 72 hot dogs in just 10 minutes. With about 3,000 spectators in attendance each year, this exciting televised competition is definitely one of the larger celebrations on Independence Day. Bodybuilders come from all over the US and even from out of country to compete in the notorious Muscle Beach bodybuilding competition. Even though bodybuilding has been around for ages, the official competition was introduced in 2004 in an effort to promote a fit and healthy lifestyle. 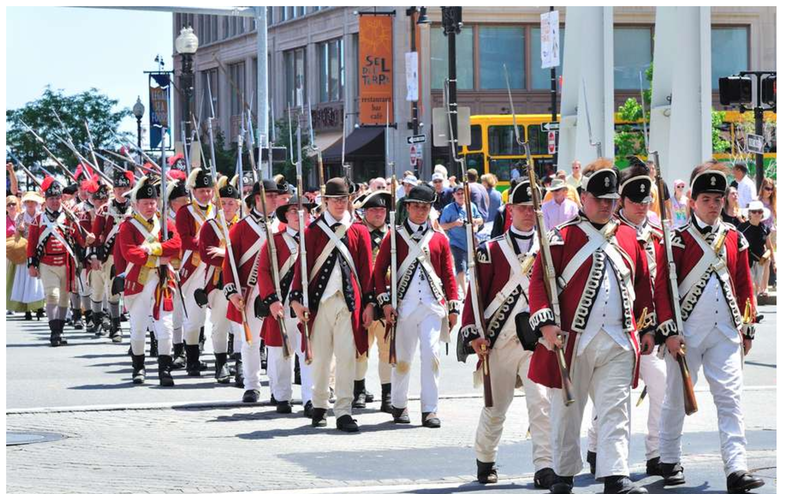 While most parades usually feature a marching or live band of some sort, you won’t find one on the Fourth of July in Willimantic. 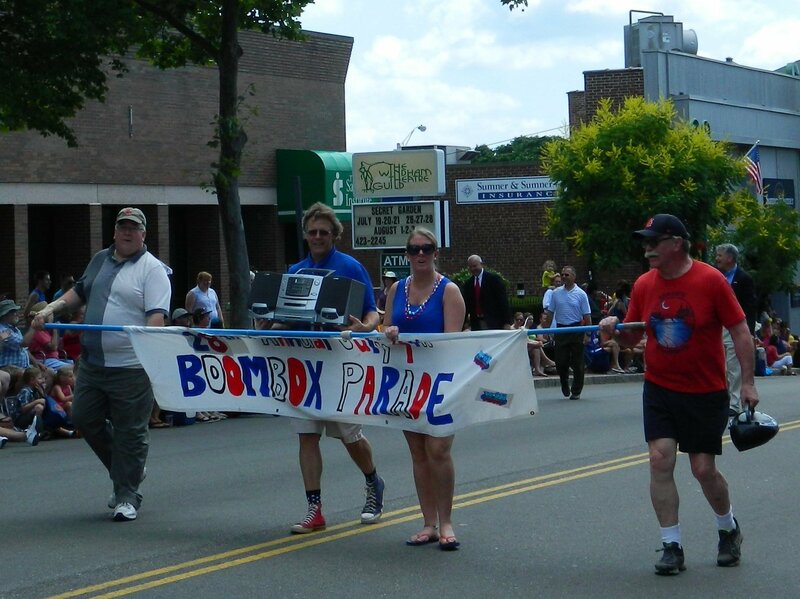 Due to loss of government funding of the arts back in the 80’s, Willimantic’s high school couldn’t afford to teach or direct a marching band – so when their Fourth of July parade ame up, WILI AM Radio Station decided to play music for the parade on air, and all participants in the parade and attendees to the parade would bring their stereos and blast whatever played on the air. Since it worked out so well, the county has been doing it ever since! This event has been a tradition in downtown Bend since the 30’s. All kinds of pets are allowed, not just dogs and cats! Some people have even brought llamas in the past. After the parade at 10 AM, there’s a whole festival of live music, local artisans, and delicious food. 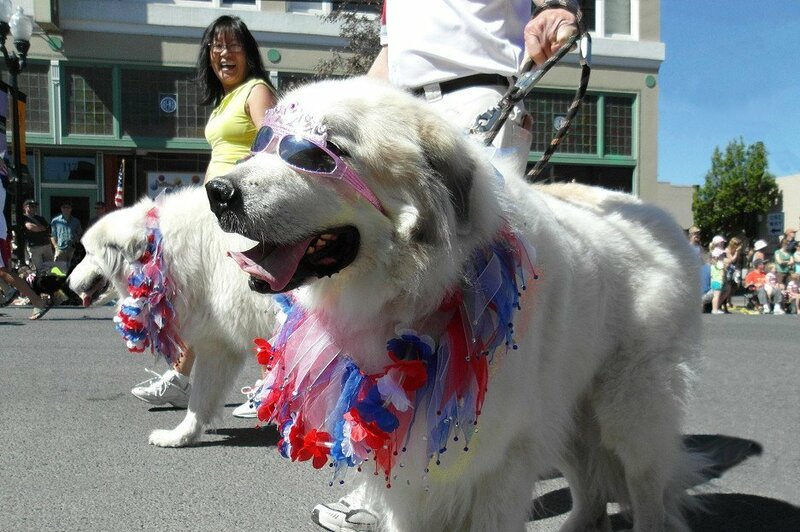 With about 8,000 participants and spectators, this large event celebrates not just independence, but animals as well! Boston Harborfest has been around or 37 years now, celebrating Boston’s harbor and the history behind it. Boston is packed with US history, so it only makes sense that the Harborfest goes on for days, with people dressed in colonial garb, and luckily for seafood lovers, one of those days is dedicated entirely to chowder. 150 runners met on the corner of Peachtree and Roswell Road in Atlanta on July 4th, 1970. 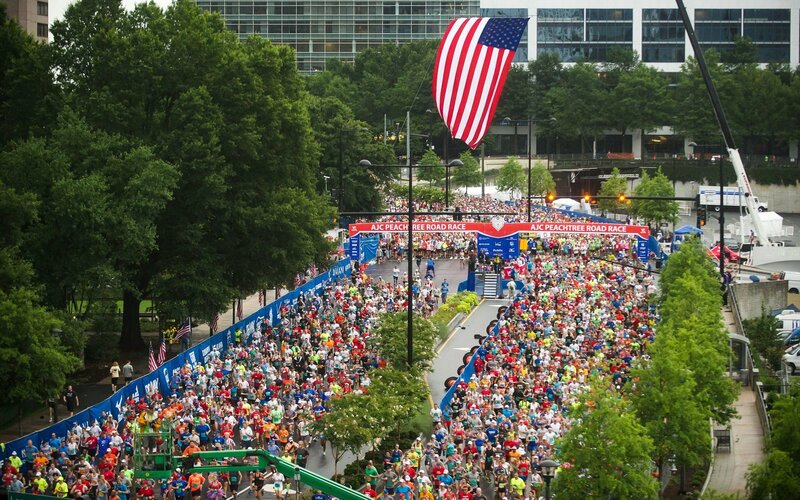 After running 6.2 miles through Atlanta to Central City Park, 110 runners finished the first ever Peachtree Road Race. Since then it’s grown to about 60,000 participants with approximately 150,000 observers who line both sides of the entire road to cheer on the runners. Hoping you have a great day off on the Fourth!